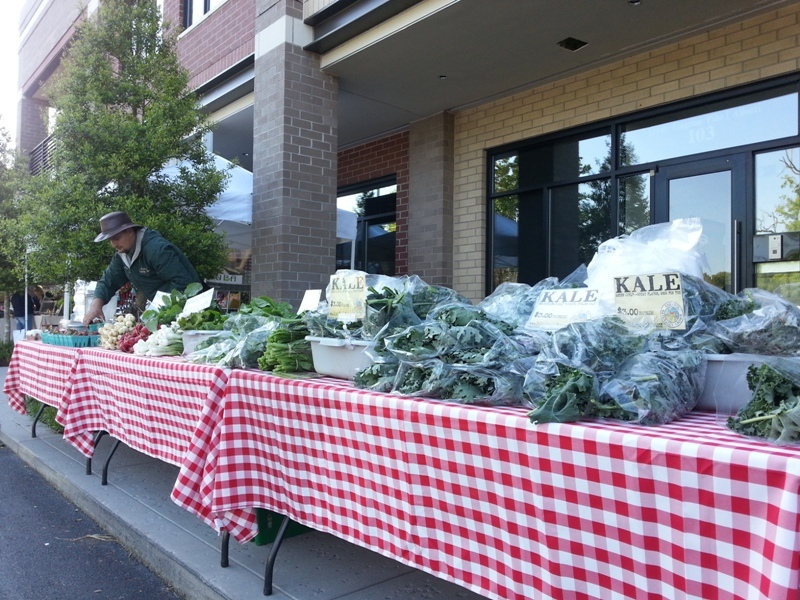 The Farragut’s Dixie Lee Farmers Market is located just outside Knoxville TN. 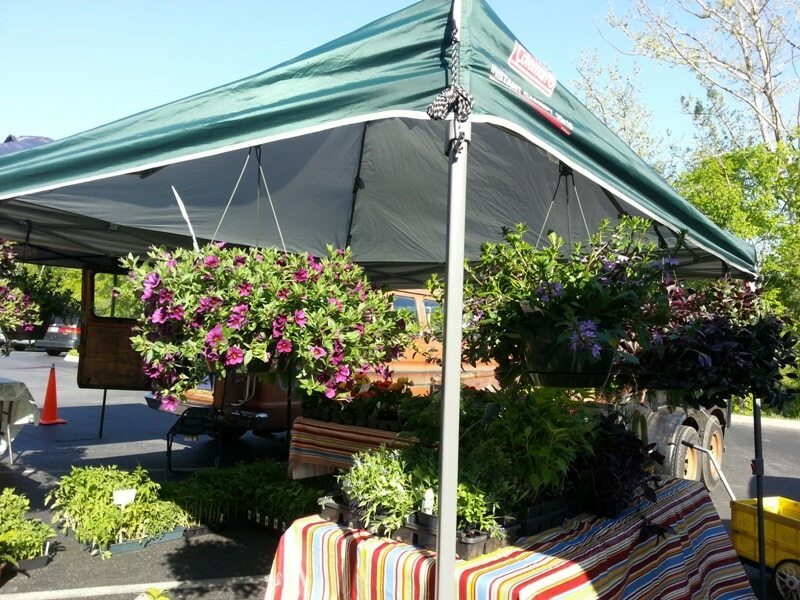 While visiting Yianni’s brother and his family last weekend, my sister-in-law Rebecca took me to this adorable farmers market. It’s amazing how far into Spring they already are in Tennessee. The flowers are in full bloom. Green leafy vegetables are abundant. Just look at this kale! 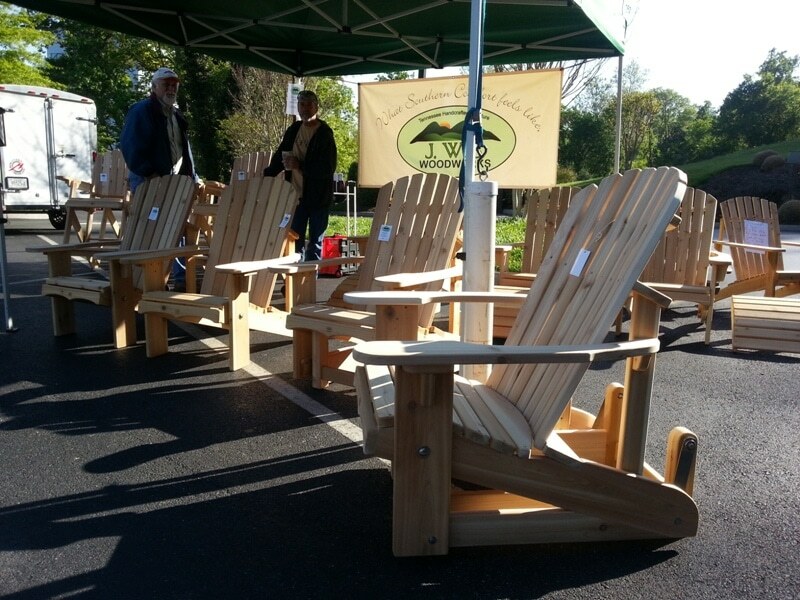 This carpenter made wonderful Adirondack chairs. 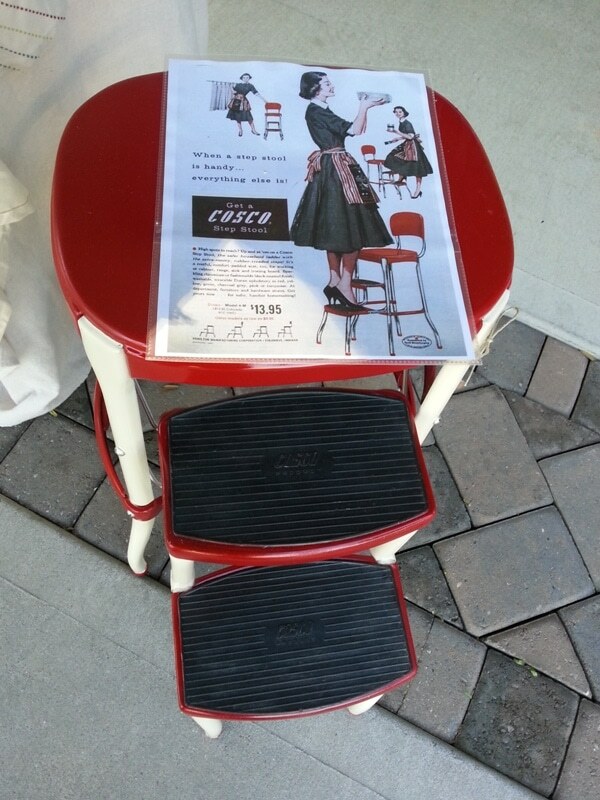 Another vendor had this kitchen footstool from the 50’s. I think we had one just like this in my childhood home. But the vendor that caught my attention and my pocket book was Ophelia’s Charm, with her eco-friendly designs for the home, unique clothing and costumes, and “upcycled” creations. Her “UNPaper Towels” are genius! 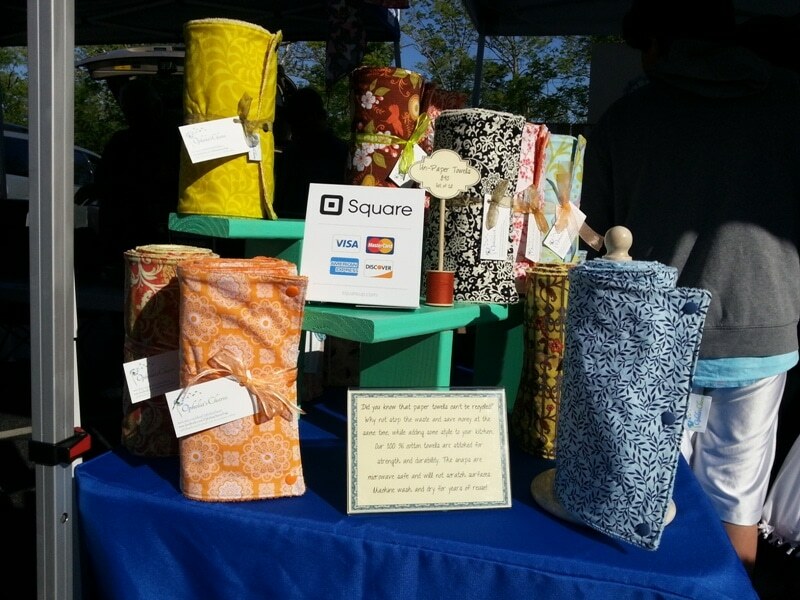 They’re made from high quality quilter’s cotton and backed with 100% cotton terry. 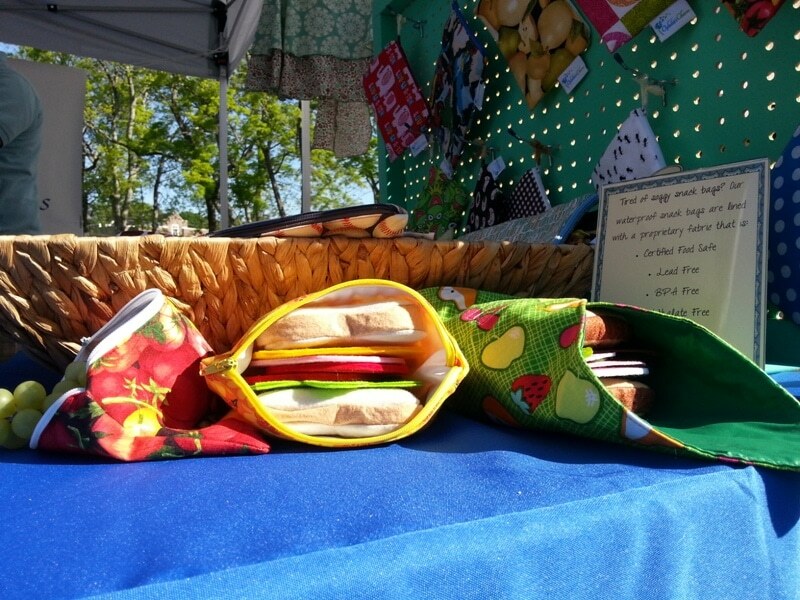 Ophelia’s Charm snack bags and sandwich wraps are designed for fun and functionality. Made from 100% quality cotton and lined with food safe, BPA free, water-resistant nylon, these bags and wraps can be used over and over again. 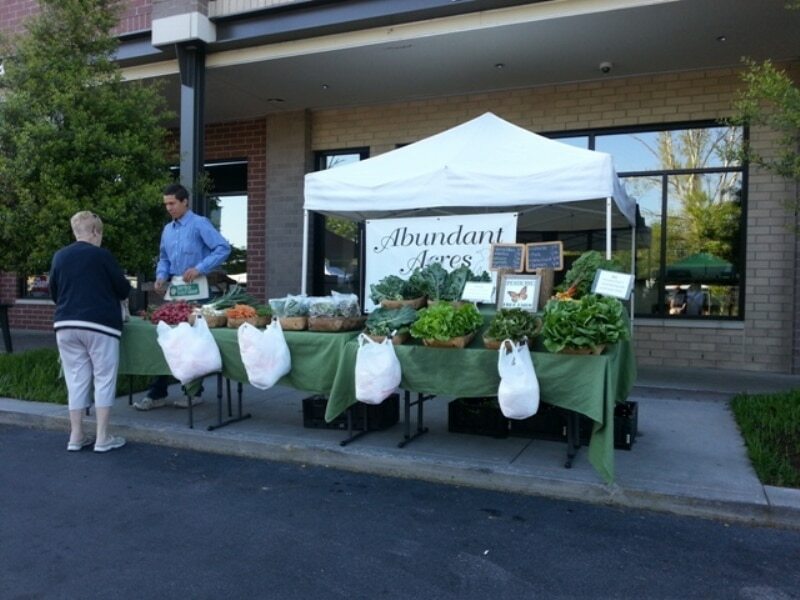 If you’re in Knoxville TN, definitely take time to visit Farragut’s Dixie Lee Farmers Market. And you can also find Ophelia’s Charm on Etsy.